TV One’s award-winning documentary series UNSUNG airs the untold story of 80s family band The Jets at 9 p.m. ET/8C.UNCENSORED follows at 10 p.m. ET/9C and gives unprecedented access to the comedian, author and REACH Media syndicated host DL Hughley. Rising to success in the mid-80s, the hit teenage group The Jets put a surprising twist on the Minneapolis sound and drew inspiration from Prince. Comprised of five brothers and three sisters of Polynesian descent, the group took the R&B and Pop charts by storm with hits like “Crush on You,” “You Got it All,” and “Make it Real.” With so much of their success based on their youth appeal, the band fizzled from the spotlight by their early 20s. The group’s lead singer left the group after she was diagnosed with breast cancer at 21, and the other siblings gradually drifted apart. Twenty-five years later, the family members are still making music, but have split into two bands due to personal differences. Despite the split, the members are still entertaining audiences with music that initially captured their fans hearts. UNSUNG celebrates the lives of trailblazing musicians whose full stories and journey have yet to be explored. This season promises memorable stories of influential artists including singer/songwriter Shirley Murdock, dance music legend Crystal Waters, R&B crooner Glenn Jones, vocalist Kenny Lattimore, and contemporary gospel musician Tasha Cobbs Leonard. 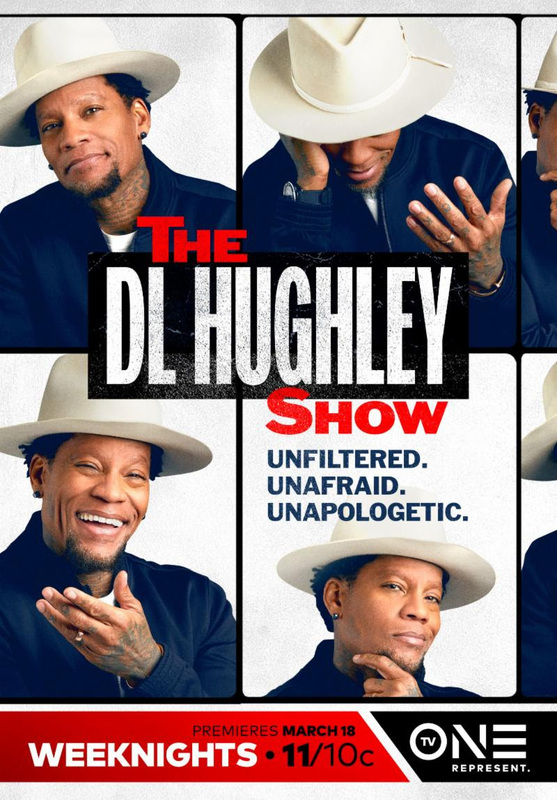 One of the Original King’s of Comedy, DL Hughley was raised a Jehovah’s Witness in Los Angeles and no stranger to his neighborhood gangs, which provided a sense of structure, family and community. His sister’s teenage pregnancy led him to leave the church, giving him a crash course in resiliency that later helped him while pursuing his comedy career. He has an unapologetic work ethic and is dedicated to providing for his loved ones. His motivation to leave a legacy led to the transition of his comedy from frivolous jokes to political topics that inspire change. The popular show UNCENSORED resumes for its second season and explores the private lives of some of today’s most notable personalities including legendary hip-hop producer Jermaine Dupri, actress Tasha Smith, actress/singer Naturi Naughton and the reigning king of urban gospel Kirk Franklin. Viewers will get a glimpse into the lives of celebrities as they personally reveal their own stories, in their own words. For more information on UNSUNG and UNCENSORED, visit TV One’s Youtube Channel and check out exclusive, behind-the-scenes content on www.tvone.tv. Viewers can also join the conversation by connecting via social media on TV One’s Twitter, Instagram, and Facebook (@tvonetv). Be sure to follow UNSUNG on Facebook using the hashtag #UNSUNGand UNCENSORED on Facebook and Instagram (@UncensoredTVOne) using the hashtag#UNCENSORED. Tags: Dl Hughley, tax return, tv one, Uncensored, and Unsung.